Attention all thrill seekers... Would you be game enough to investigate documented reports of a known haunted location with the help of a genuine psychic/medium who assists police with murder investigations?... If so, answer this ad - skeptics and paranormal enthusiasts welcome. A group of paranormal enthusiasts place an ad in a local newspaper, inviting skeptics and believers to investigate supernatural sightings and experiences on the notorious Wakehurst Parkway in Sydney, Australia. Renowned as a murder hot-spot and body-dumping site, Deep Creek Reserve is a location steeped in tragic history and authentic paranormal phenomena. A genuine psychic /medium who assists police with murder cases is employed to participate in the effort to help investigate the supernatural phenomenon. Will the investigation of these documented reports fall short of the superstition that has followed all the locals for decades or will these enthusiasts get more than they bargained for? 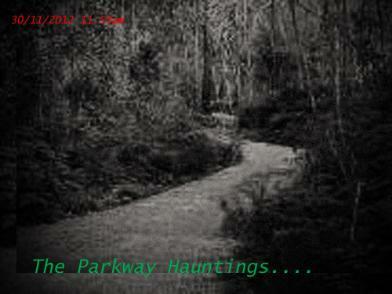 Join us on the investigation of the The Parkway Hauntings.